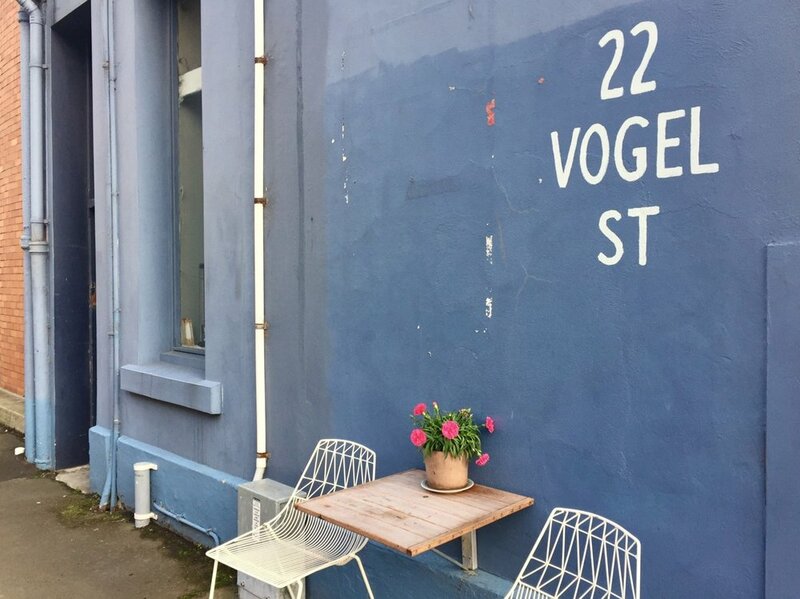 On a stroll around Dunedin’s warehouse precinct, in Vogel Street no less, you’ll find a chocolate heaven to enjoy. There’s a fantastic southern story to learn, and exciting big plans for the future of chocolate around here. Dunedin’s name comes from Dùn Èideann, the Scottish Gaelic name for Edinburgh. And Ōtepoti (the place of the corners) is the Māori name for Dunedin. Ōtepoti was formerly the site of an old Māori canoe landing, and we've read that the name Ōtepoti signifies "a corner of the harbour”. And there’s a pretty special chocolate history in this corner of the harbour…. Right here OCHO makes single origin dark craft chocolate, from scratch, using cacao from the Pacific region. It’s all dark, and pretty robust in flavour. You’ll sure feel like you’re enjoying the reported health benefits of eating quality dark chocolate. Delicious. So it’s a Pacific business all right. From the very beginning, around five years ago, Liz, the chocolate maker, had the philosophy to source all cacao beans from farmers in the Pacific Islands, as close to home as possible… think Papua New Guinea, the Solomon Islands, Samoa, Fiji. Single origin means there’s no mixing of beans, they’re small batches using beans from individual farmers - each batch is fully traceable back to the farmer co-operative where the beans were grown. And the back of the bar tells you the name of the co-operative the beans come from. Recent compliments to Teehan (66% cacao PNG), Agnes Pilopaso (70% cacao Solomons) and Macuata (75% cacao Fiji)…. The beans are shipped here, and every step of the hands-on bean-to-bar process is done under one roof at OCHO’s current chocolate factory. That’s the Vogel Street connection. And there’s excellent flavours to try. We’re big fans of Beekeeper (New Zealand manuka honey and bee pollen, plus the puffed grain, amaranth) and, hard to resist, Short Black (crunchy pieces of cacao nib, and a little vanilla). OCHO says its roots are firmly planted in Dunedin and that’s where they’ll stay - the home of chocolate in New Zealand…. continuing the tradition of Dunedin chocolate making, after the recent closure of the well-known Cadbury factory. A fundraising campaign then saw the long Dunedin chocolate tradition kept alive. And so, five years after the start, OCHO became the business of more than 3,000 small investors. There sure is tremendous support around here for community ownership and delicious chocolate. And we’re delighted to know of OCHO’s core principles that embrace social and environmental ambitions of sustainability and fairness. We love that, and we love their plans for big new premises nearby soon - for more production and, in time, public tours….excellent, we can’t wait. Inspiring to enjoy chocolate, from a growing and well-loved New Zealand business, in a traditional home of chocolate. We hope that you can get to visit, have a chat, and appreciate the stunning craft. OCHO is one of a delightful collection of very clever New Zealand chocolate artisans, and we’re always so pleased to find them dotted around the country. Wishing you happy chocolate travels. And to find more on The FoodPath NZ’s chocolate mapped trail, for our collection of delicious New Zealand chocolate makers, and other food moments through New Zealand, download our New Zealand Food Trail Guides app here.